Showcasing a sparkling centre diamond weighing .70cts F/SI2 in a full bezel setting, accentuated with an additional 10 shoulder set diamonds weighing .25cts. All set in lustrous 18ct gold. 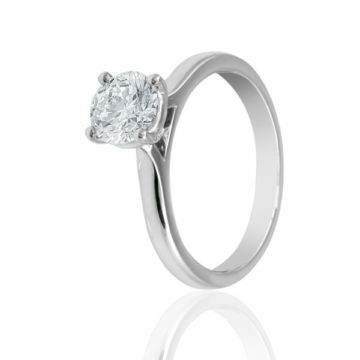 This ring has recently been sold however we can create another one for you identically, or with your choice of gems. The price may vary depending on your choice.